Hall at rear of Church, enter through car park. 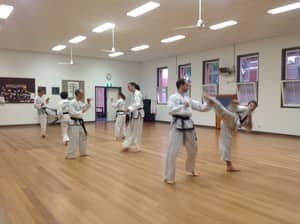 Learn self defence through the ART of Tae Kwon Do. A fitness regime for the whole family. Fantastic facility!!! 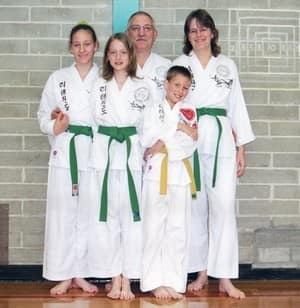 Professional, traditional martial arts teachings with a warm and friendly environment. Would not hesitate to recommend to any of my friends. Looking forward to joining the dojo soon after a fun trail – thank you team. 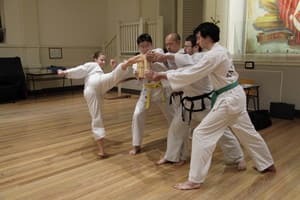 I first started Rhee taekwondo with friends and 8 years later, here I still am. There is a real sense of mentorship in the club, both with the Instructor and the members and I have a great respect for Master Rhee. Not only is he highly respected, he is a great role model for all the members. Master Rhee and Senior Instructor David Jewell provide clear and easy to understand instructions and is definitely suitable for all ages, experience levels and fitness levels. You aren't rushed and can learn at your own pace. Everyone class is enjoyable, raises a sweat and very educational. 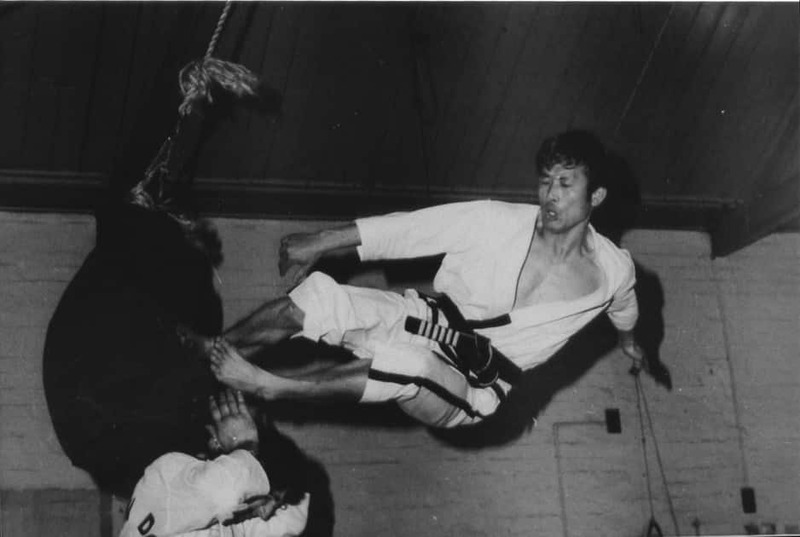 Taking up Rhee Taekwondo is one of the best decisions I have ever made. It has given me self confidence and skills to deal with every aspect of my life.